The TD1-KZ201 two people workstation features a 55″ x 55″ desktop, box/box/file pedestal and steel legs for each station as well as a shared privacy screen. 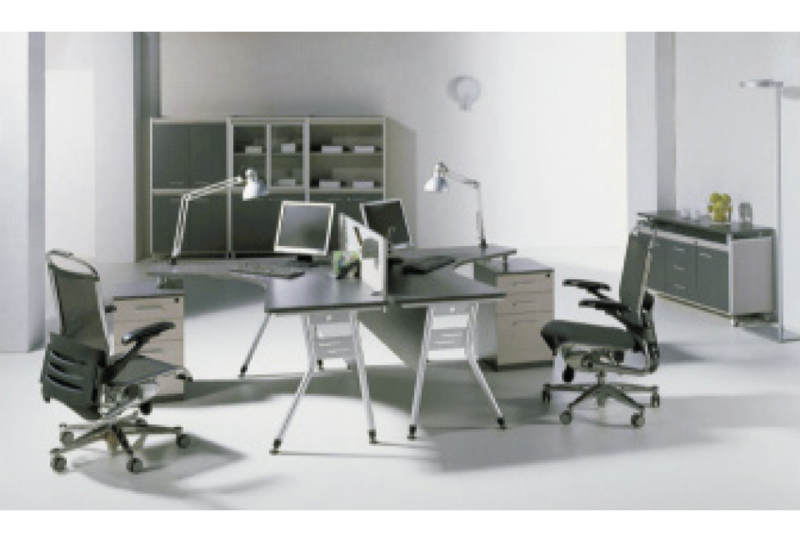 This workstation’s modern and space efficient design make it a customer favorite. Available in both Grey and Porto colours and with dimensions 55″x55″x29″ per station, the TD1-KZ201 workstation can work as a stand alone desk or it can be grouped as two or even four people workstations.